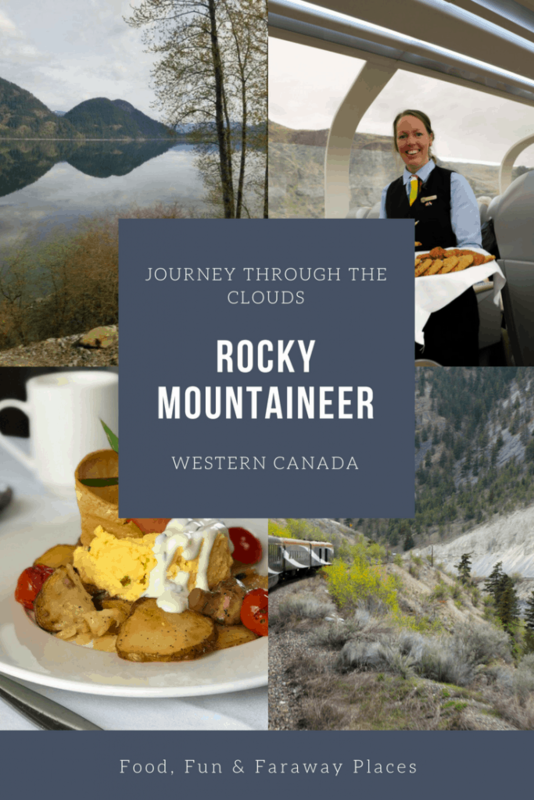 Last month I took the Rocky Mountaineer Train Journey Through the Clouds, one of the many routes you can take on this luxury train vacation. 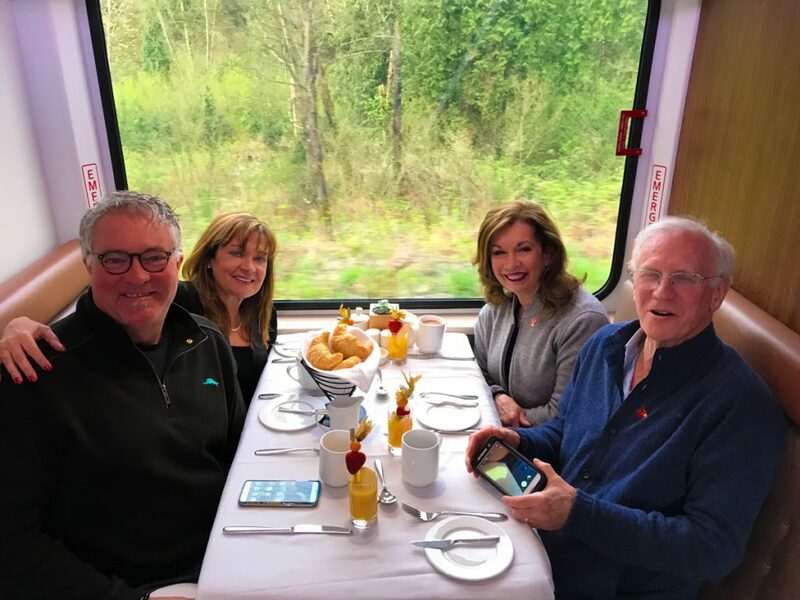 This was my second trip on Rocky Mountaineer. 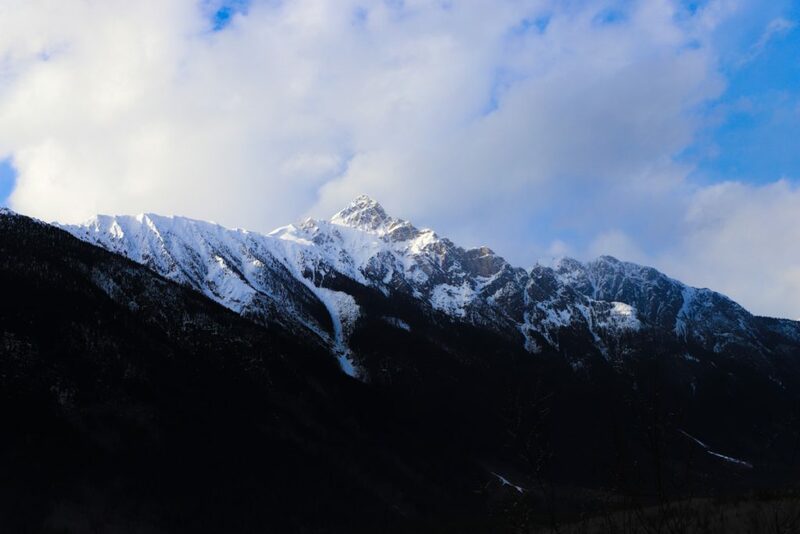 Last year I was able to experience the First Passage to the West, which begins in Vancouver and goes through the Canadian Rockies. I expected to see gorgeous views, but I didn’t expect the level of service or gourmet food on a train. 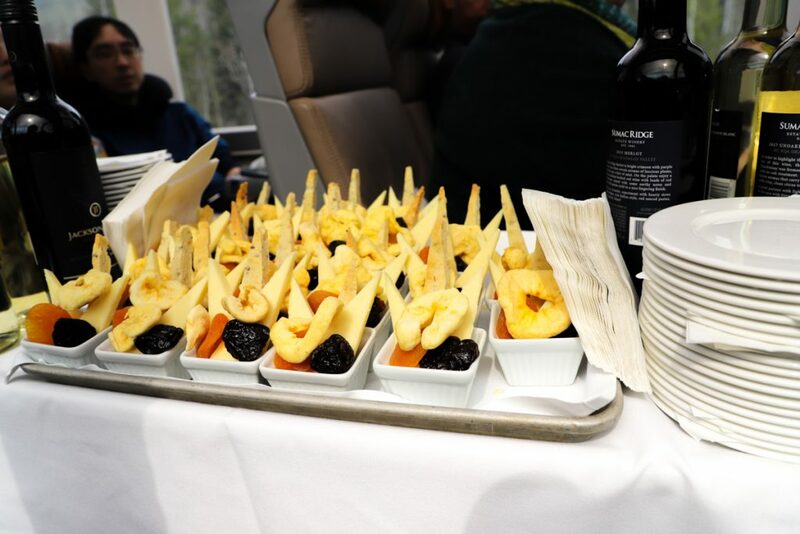 Rocky Mountaineer spoils you the entire trip, bringing you treats, glasses of wine, Prosecco, cocktails, or your non-alcoholic beverages of choice, along with delicious snacks to keep you happy between meals. When visiting the area, this is where to stay in Vancouver. Since that time, the gorgeous Hotel Fairmont, once a premiere railway hotel, has completed the renovation project they began four years ago. Next year, as they celebrate their 80th anniversary, they will unveil 42 luxurious new guest rooms, a private lounge, and more. The upgrades are all part of the Fairmont Gold program, for the discerning traveler looking for an over-the-top experience. 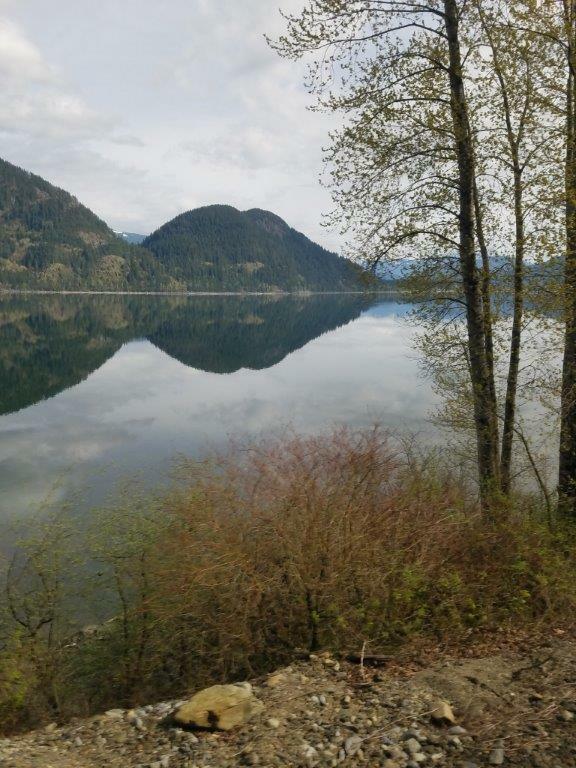 Spending a day or two in Vancouver should definitely be on your list as part of the Rocky Mountaineer journey. I’ve now been to Vancouver three times, and instead of crossing things off my list, I just keep adding to it! There is so much to see in Vancouver, and I’ll be sharing more about what we did there soon. After a day or two in this fabulous city, it will time to begin your train journey. 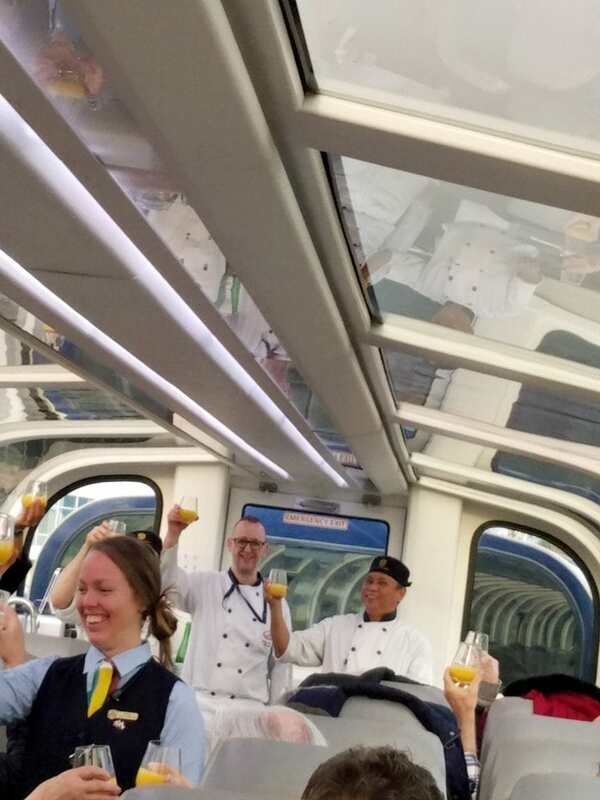 It’s an early morning when you’re picked up and delivered to the Rocky Mountaineer Train station, but once you’re there, it’s such a treat to experience the send-off. The Rocky Mountaineer Train Station, located just east of downtown Vancouver, opened in 1954 as a train repair station for the Canadian National Railway. I think it’s so cool that Rocky Mountaineer now owns this historic station. 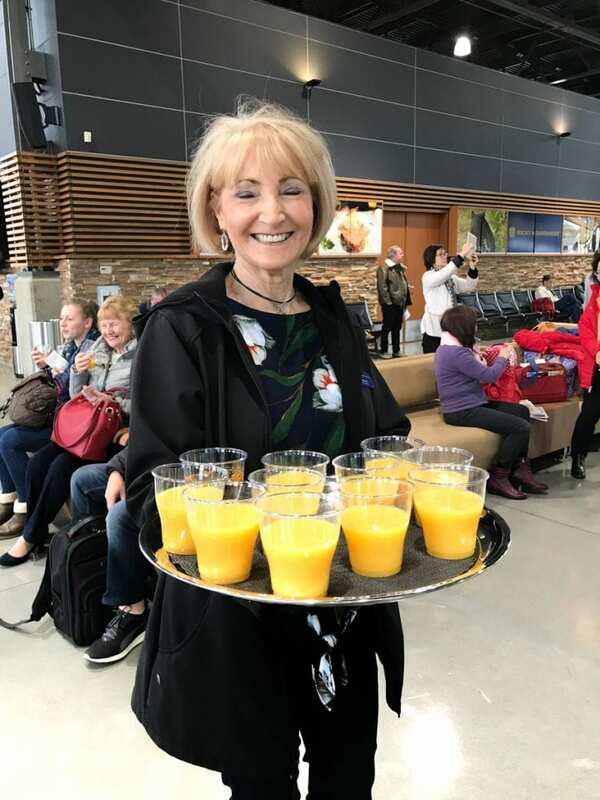 When you arrive, you’ll be offered a celebratory glass of juice. Take some time to look around the station while listening to the wonderful pianist. You will have about 30 minutes to browse the small kiosk set up with Rocky Mountaineer merchandise. I’m a proud owner of one of their jackets, the Lug Overnight Bag, the Tilley hat, a Jasper bear, a cookbook…yes, I’m a bit obsessed! Just before the send-off, everyone gathers for announcements. 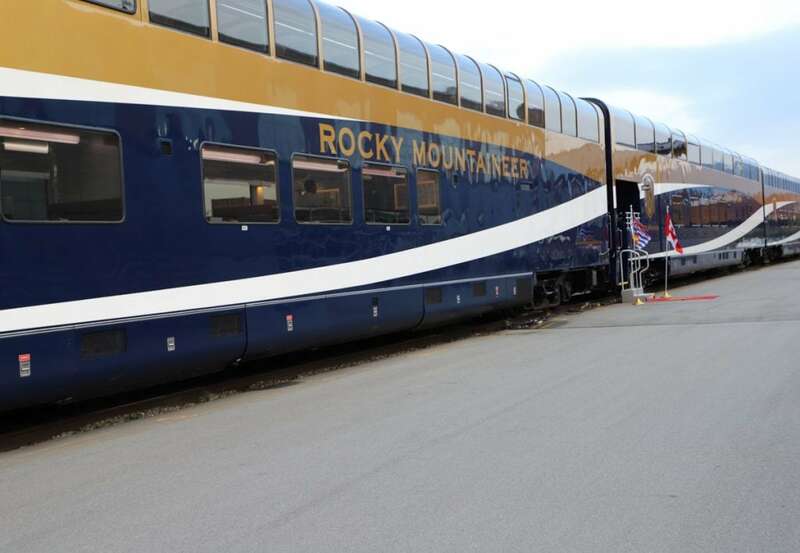 Once you hear the Rocky Mountaineer team say All aboard the real fun begins. My husband is the selfie king! Once everyone is onboard and in their comfy seats, the train departs the station. Get your camera ready, because you’ll want to remember this moment! 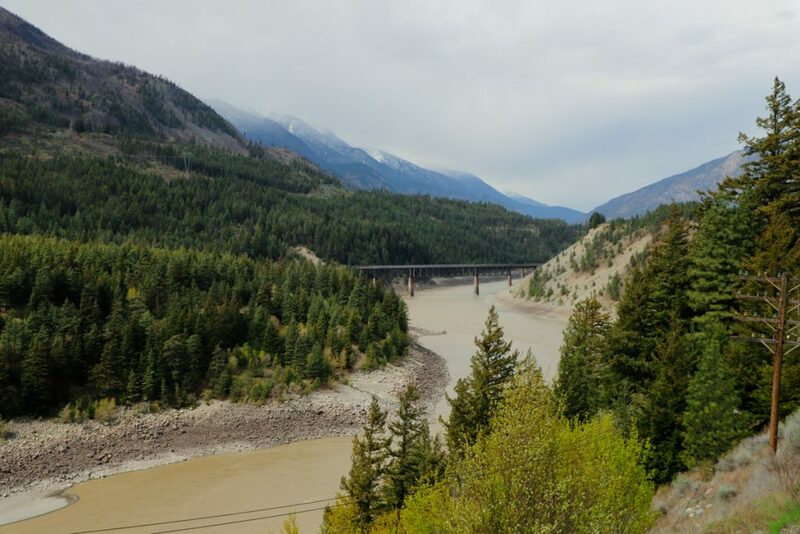 As I mentioned, last year I was able to experience Rocky Mountaineer First Passage to the West, stopping overnight at the Sandman, a wonderful Kamloops hotel, and ending in Banff. The Moose Hotel is where to stay in Banff if you’re looking for a beautiful upscale but casual downtown Banff location. 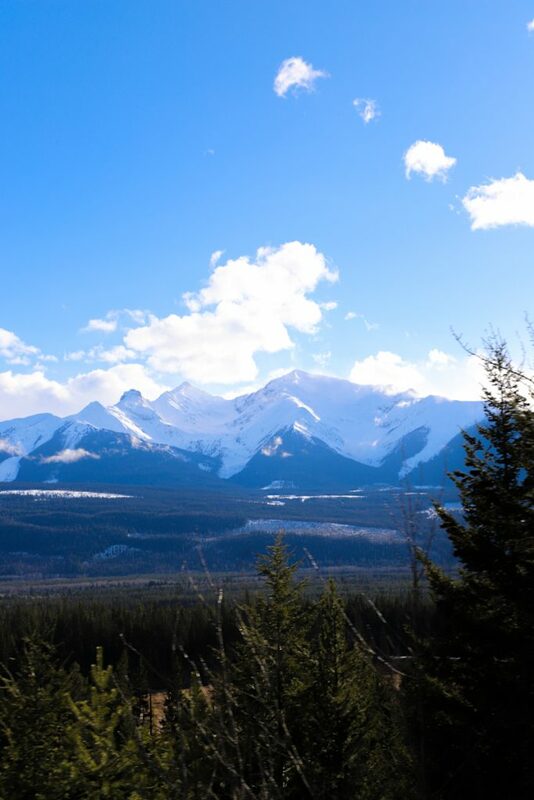 The Journey Through the Clouds is the same on the first day as the First Passage to the West trip, but on the second day, you will go to Jasper instead of Banff. Though I say the first day is the same on both trips, I’m only talking about the route. You never know what you will see on the train, or who you will meet. If you’ve been a subscriber for a while, you’ve heard me say that the people often make the trip extra special for me when I’m traveling. This trip was no different. On the first day, we had lunch with a couple from Virginia. Before our lunch was even served, we realized we had mutual friends. Not just casual friends, but close mutual friends from when we lived in Maryland! 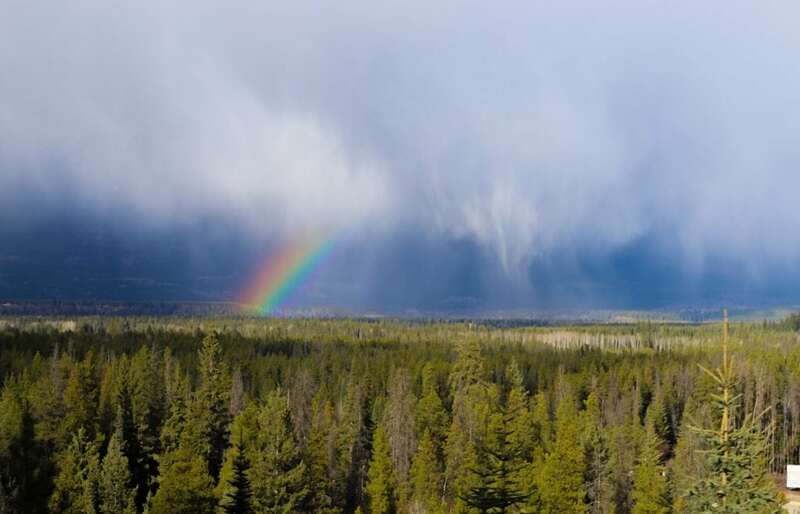 What are the chances that would happen when vacationing in Canada? You may have heard there are only six degrees of separation, meaning we are all just six steps away from meeting each other. Science has proven it to be true, but I already know what a small world we live in because this happens to me all the time! The story of these new friends gets a little crazier, too. We were disappointed to see they weren’t on our train the next day. I received an email from them letting us know they were taking the First Passage to the West journey instead, and that they would reach out later so we could connect again. We were so disappointed to know we wouldn’t be able to spend any more time together. 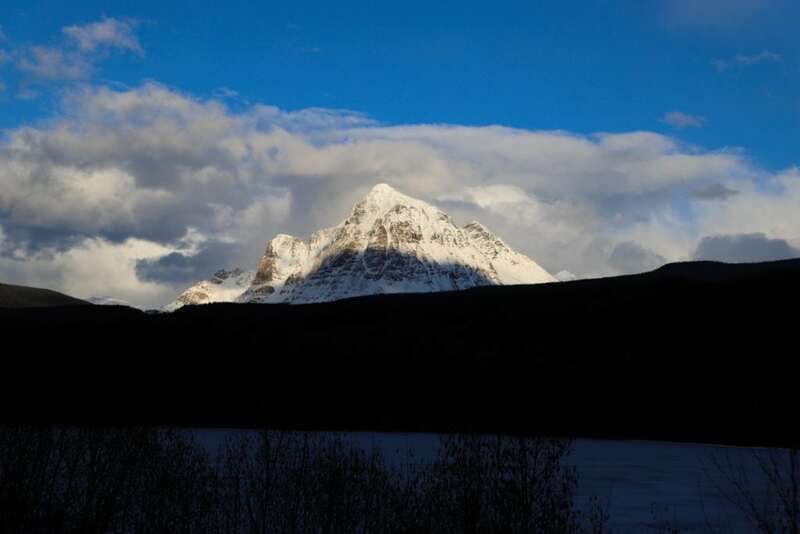 We headed to Jasper for a couple of days, did a tour of the Icefield Parkway, and spent one night in Banff. The next day when we sat down in our seats on the plane, guess who was directly behind us? We really could not believe it, but there are no coincidences. We will see them again the next time we go to Maryland to visit. 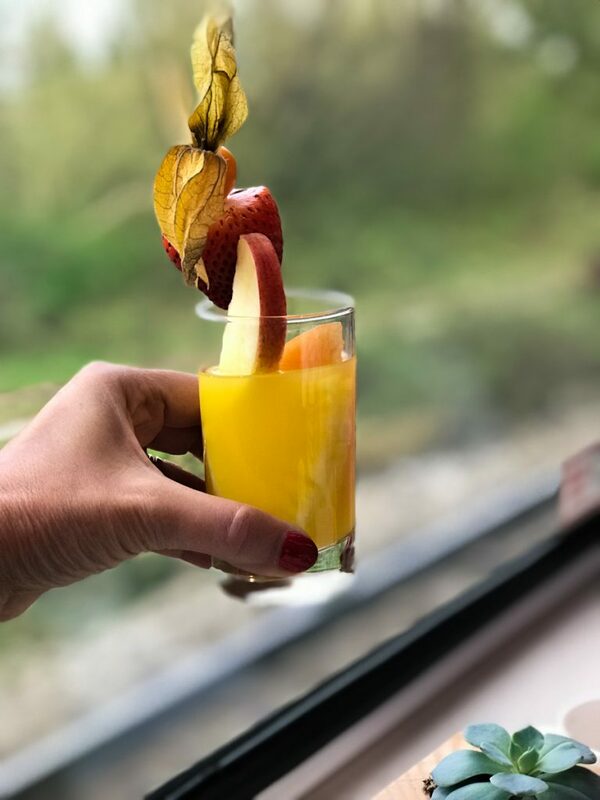 Food is always a huge part of any trip for me, and shortly after the train leaves the station, an announcement is made for breakfast. 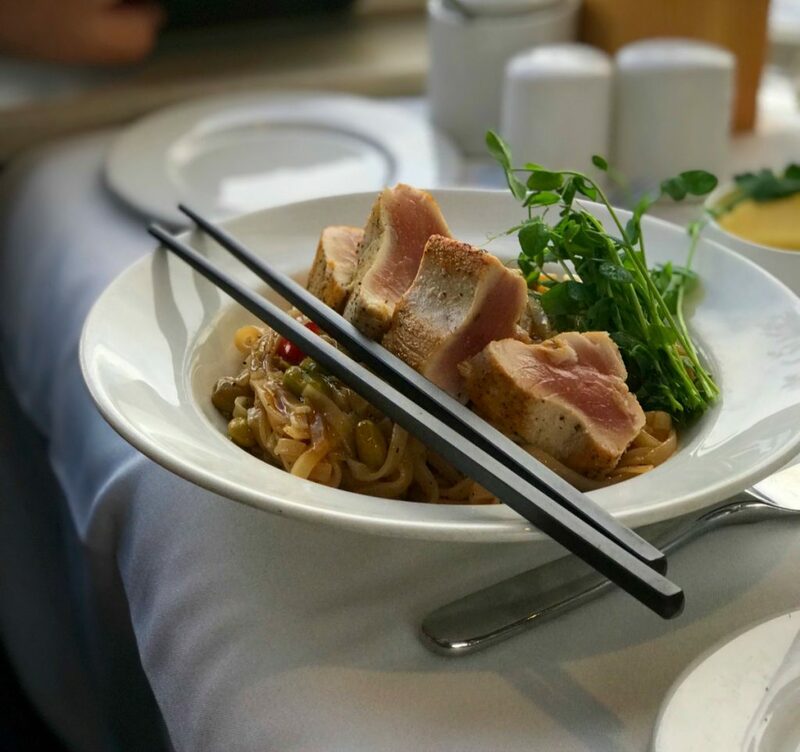 If you book with GoldLeaf Service, group one goes downstairs to the restaurant and has breakfast. 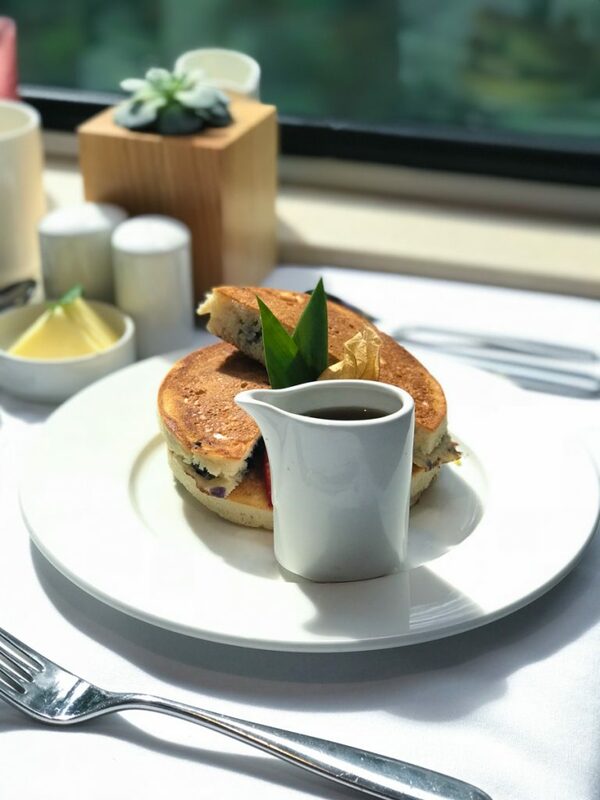 If you aren’t in the first group, a Rocky Mountaineer staff member will deliver a freshly baked scone with butter and jam to your seat, along with a beverage of your choice, including coffee, tea, or a mimosa. Don’t worry. As you are on the train for two days, you’ll get both experiences! 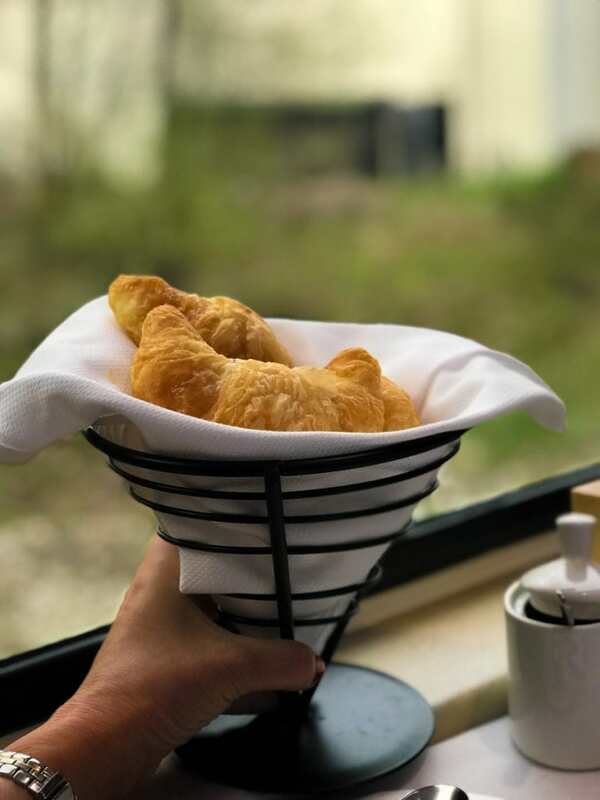 Downstairs, we started with freshly baked croissants. 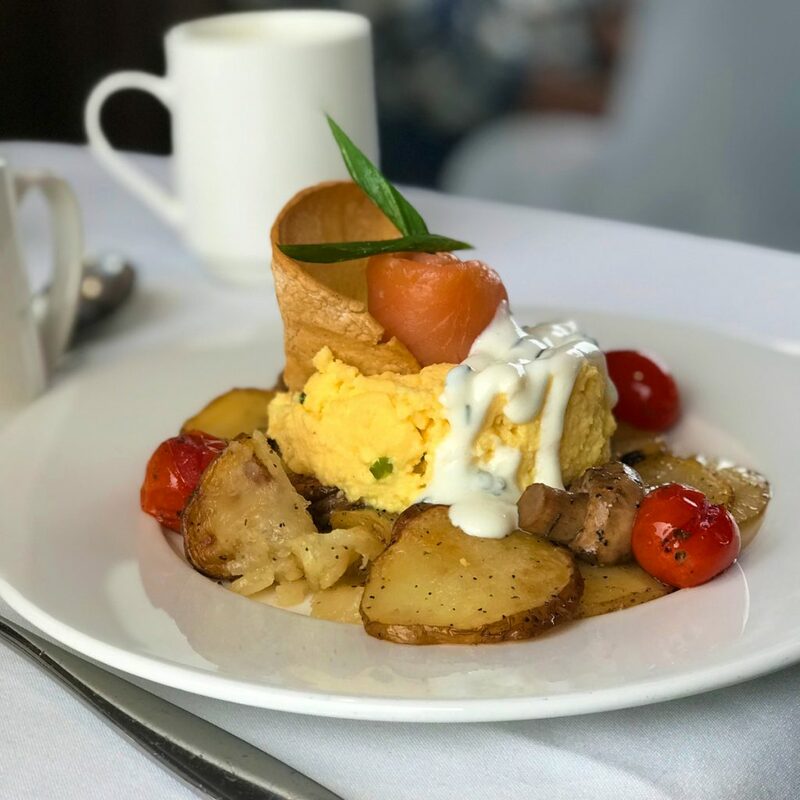 The food on the Rocky Mountaineer train is spectacular. 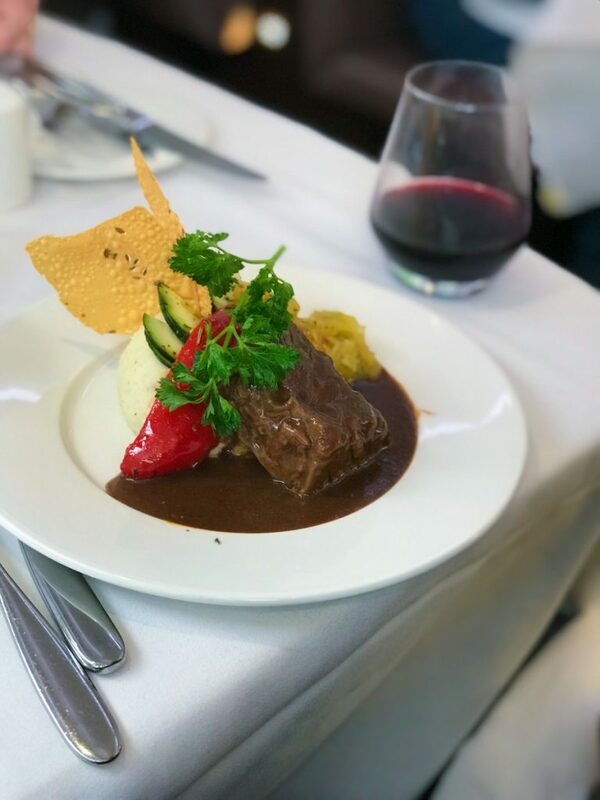 The beauty of being on the train for two or more days is that you can try more than one dish, and there is a lot to try! 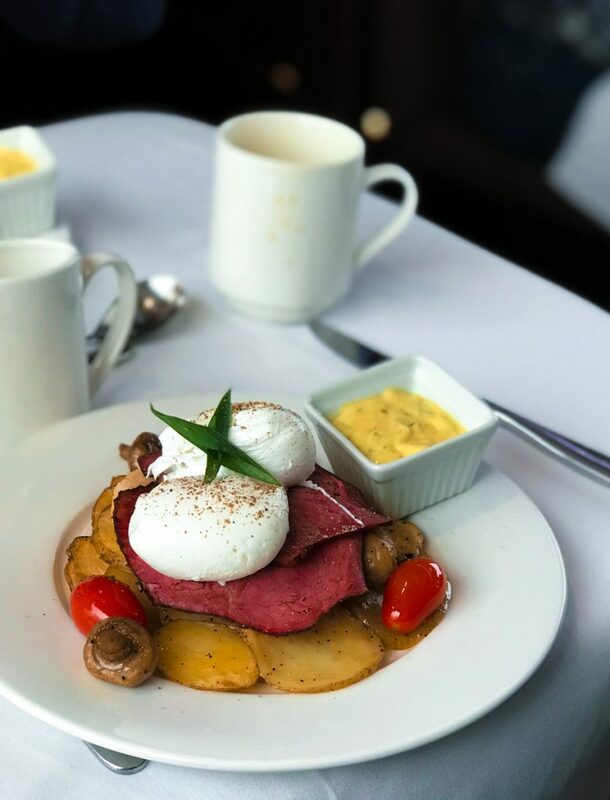 I told my husband he had to try the Eggs Benedict with Montreal style smoked beef as I remembered it being so good on my last trip. It was heavenly again. This time I wanted to try something else. So delicious. The second day I had the pancakes. Hungry yet? After breakfast, we headed back upstairs to enjoy the views. It seemed like before we knew it, we were getting snacks, wine, and cocktails! 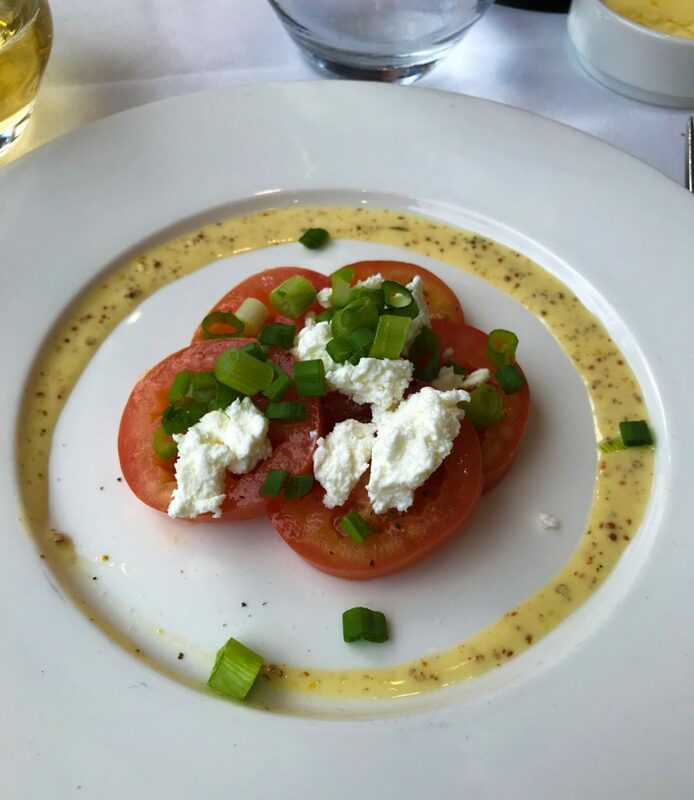 You’ll know it’s time for lunch when you start to notice the delicious aromas floating upstairs. I had remembered the Beef Short Ribs were so wonderful. Braised in Okanagan Valley Merlot, they were so tender and paired perfectly with a local BC wine. The tuna was wonderful, too, served rare if you’d like. The best way to experience it all is to share so you can try it all! 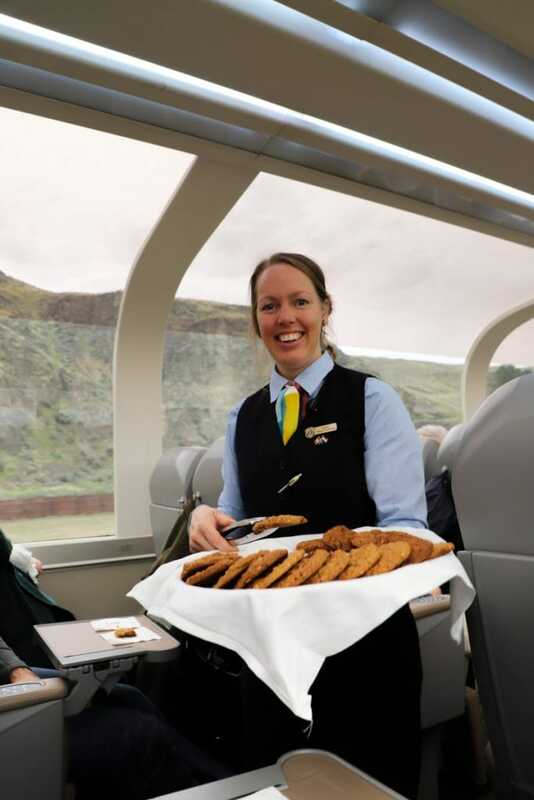 Though dessert is served after lunch, save room for the freshly baked famous Rocky Mountaineer cookies served later with your choice of beverage. Take 2. You’ll be glad you did! I almost hate to tell you this because I feel like it’s a spoiler, but the views on the first day, though spectacular, are just a glimpse compared to the views on the second day. Take a look at some of the views from Day 1. I just could not stop taking photos. I took at least 1,000! Gorgeous, right? And being able to see this as you’re being pampered, rolling along on a train? It is just something I wish everyone could experience at least once. 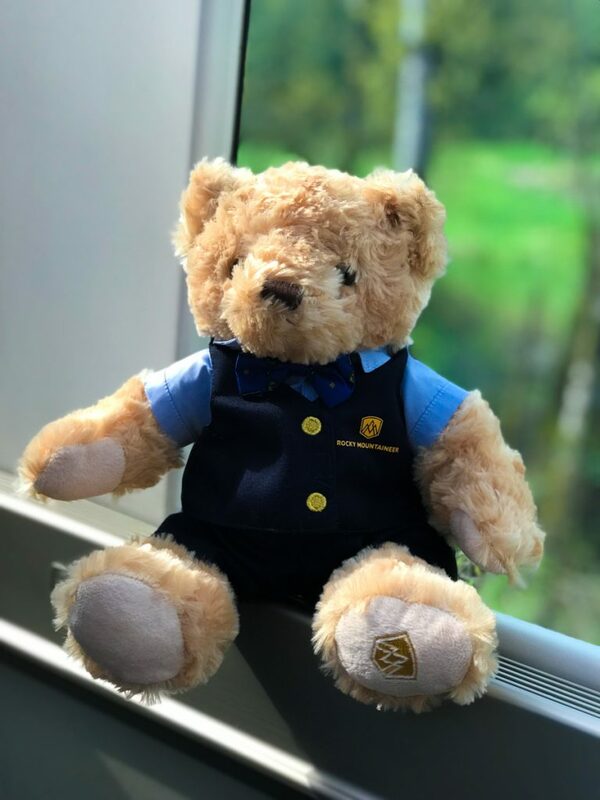 Speaking of being pampered, one of the things that truly impressed me last year on my first Rocky Mountaineer train journey was the staff. 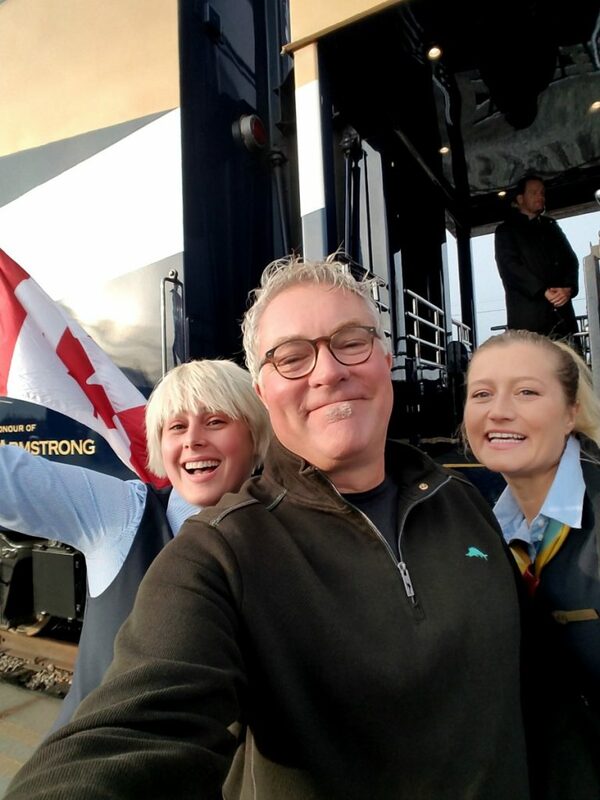 They are sincerely so happy to be part of the Rocky Mountaineer family and feel it’s a privilege to serve their guests. Take a couple of minutes to view a video or two on their site and you’ll see why I just love the staff on the train. So. Much. Fun. Now I want to go again! After our two days on the train, we headed to Jasper to spend a couple of days at the Fairmont Jasper Park Lodge, experience the Icefield Parkway and see our first glacier, and end our trip with a stay in Banff National Park at the Moose Hotel, which is where to stay in Banff for a 4-star yet casual experience. It was truly a magical journey. 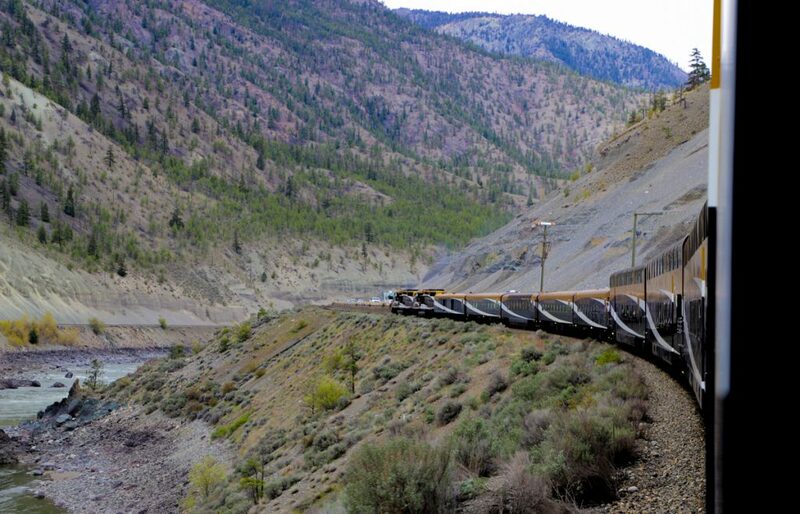 You can request a free brochure from Rocky Mountaineer to see more about what the different trips entail. I can promise you it will be a trip you will never forget. Please ask if you have questions. 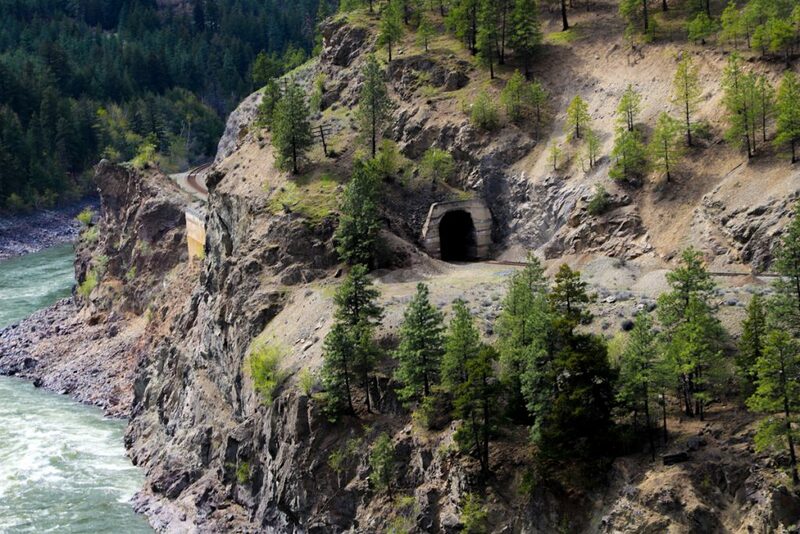 I would love to help you plan your Rocky Mountaineer Train journey! This whole journey sounds amazing! And I love the photos too! I just have to comment. My husband and I celebrated our 30th wedding anniversary by taking the Rocky Mountaineer Train trip. I’ve never been so spoiled and pampered! It was a really awesome trip and we want to go back again next year! Words just can’t describe this experience! What time of the year did you travel? We are thinking mid May 2019. 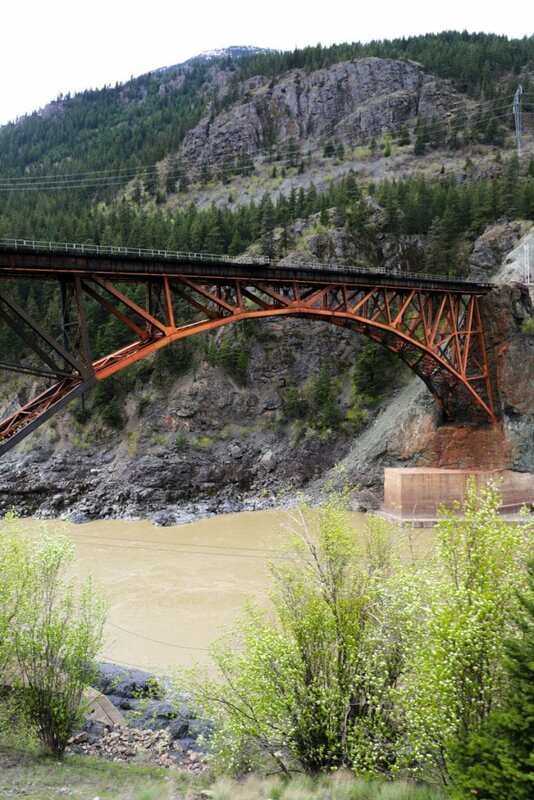 Oh, this brings back my trips on Rocky Mountaineer – I’ve done the two trips, too. Such a variety of things to see. I never got tired of the viewing car. Thanks for this thorough write up. It looks really exciting and luxurious. I would definitely go on this adventure. Wow, not only does the scenery look amazing but that food looks delicious! Looks like I need to bump this up on our bucket list of trips! I knew I wanted to visit Vancouver area some day but now I know what I want to do while I’m there, that looks like fun! I can’t believe those breakfasts, YUM! My mouth is watering and those view are amazing. Thanks for sharing, it’s on my bucket list now. What an awesome experience! That is an incredible trip, and the fact that you can have drinks and food, makes it much more enticing!